Is CSI: Cyber ending? In an interview with The Hollywood Reporter, the CBS’ series executive producer discussed the future of the series. 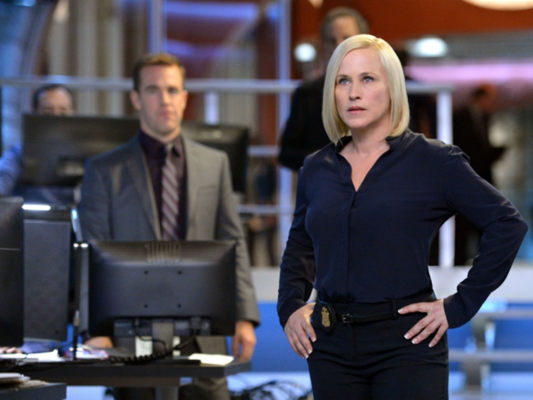 CSI: Cyber is currently in the middle of its second season. What do you think? Do you watch CSI: Cyber? Do you think it will last long? More about: CBS TV shows: canceled or renewed?, CSI: Cyber, CSI: Cyber: canceled or renewed? I think CSI cyber is a fast moving, clever, up to the moment drama! ItIwould be a real shame to replace it! The actors are excellent. Good riddance. Dear Networks, please leave the genre to the professionals. Thank you. Love it as well as all the previous CSIs. I hope it continues! I love it-never miss it -please bring it back. They always get rid of the really interesting shows. I tried to get into the navy stuff with NCIS or NCSI (whatever its called). I found it really boring and farfetched. Somebody at CBS isn’t thinking straight at all. No!!! They need to keep it going for sure! Other than the original CSI this one is definitely my favourite! I like it a lot I think I should continue its the best CSI ever. I love watching CSI Cyber, with the technology in the world today. This show gives me great information. I find the series to be to farfetched. It would be fine if the viewer knew that the technical issues dealt with are plausible. However it seems the agents find ways to solve crimes by unrealistic means. What is wrong with TV today? If you aren’t in bed with someone or on a reality show they cancel ya! I really liked this show…the way of the world for All of us is not found in crappy reality junk. Bring back some decent shows will ya!! !